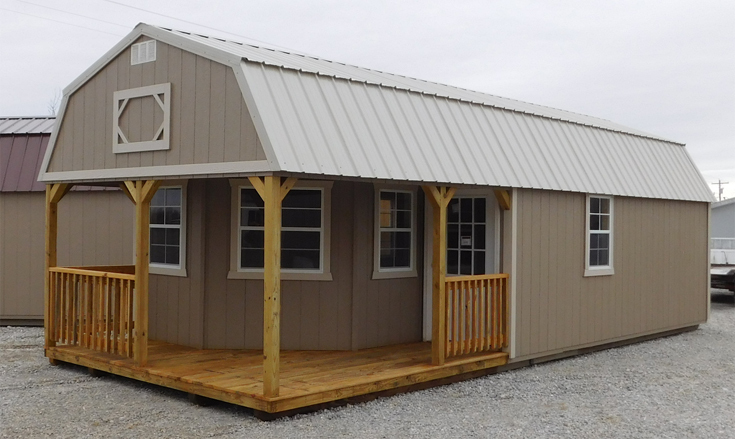 Are you looking to start your own business and want to make a good first impression with an elegant looking office? 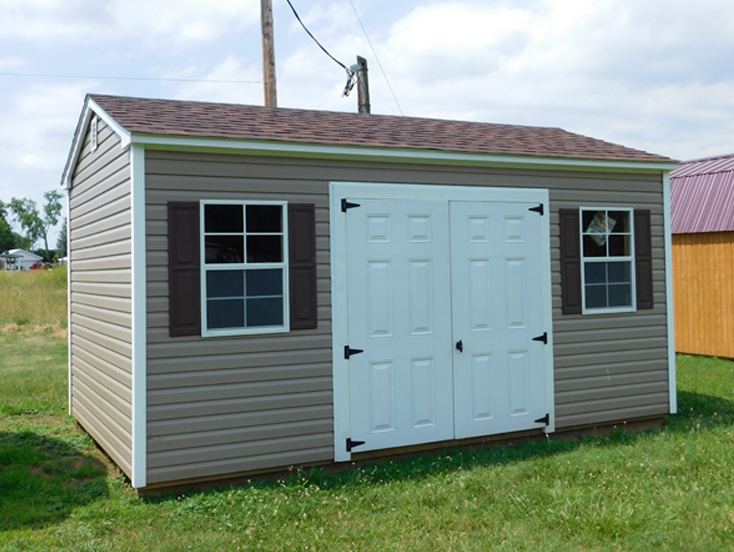 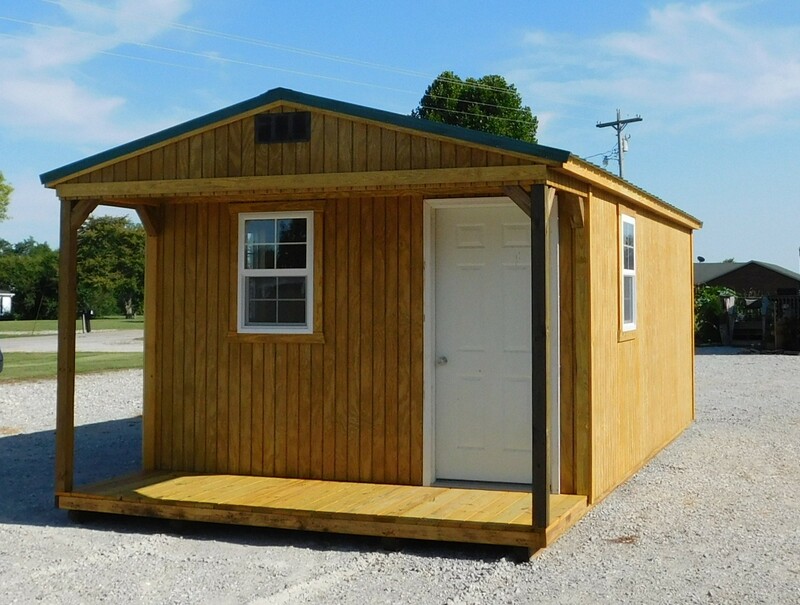 You won’t find a more economical fit than the Utility Cabin! 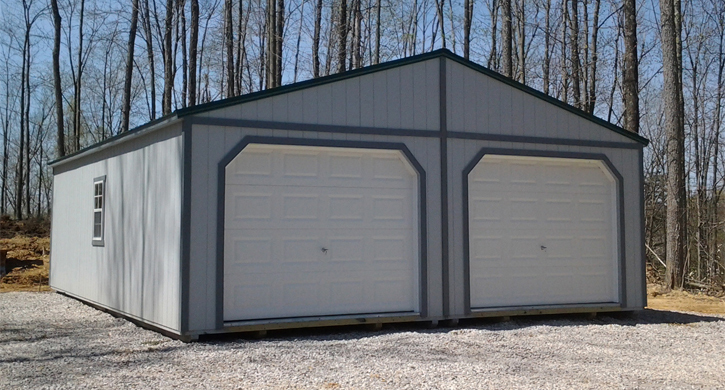 You will like the roomy interior you get with 7’ 9” wall height. 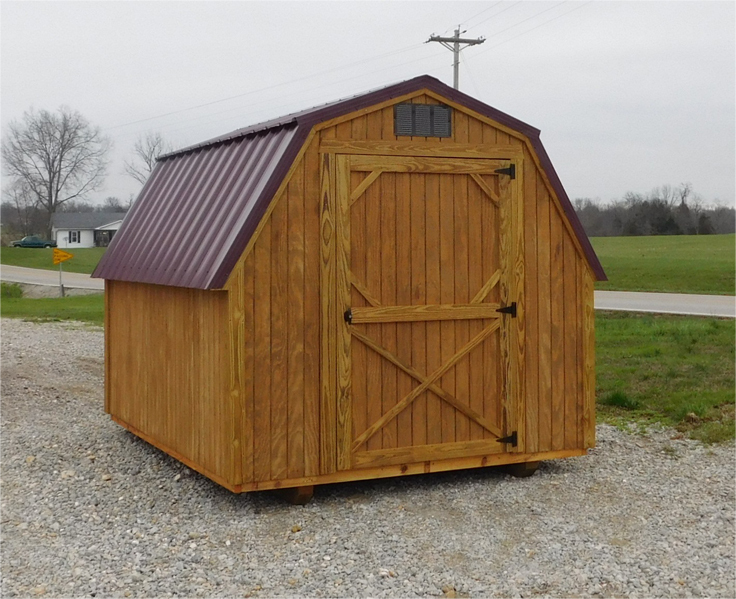 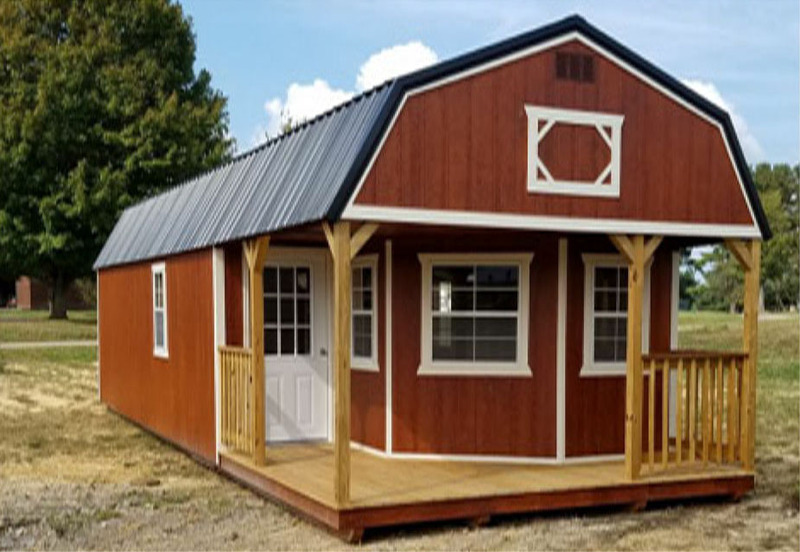 The Utility Cabin comes standard with a solid 36” metal entry door, three 2x3 windows, extra height walls (7’ 9”), and your choice of a 4’ or 6’ front porch or a 4’x8’ or 4’x12’ side porch. 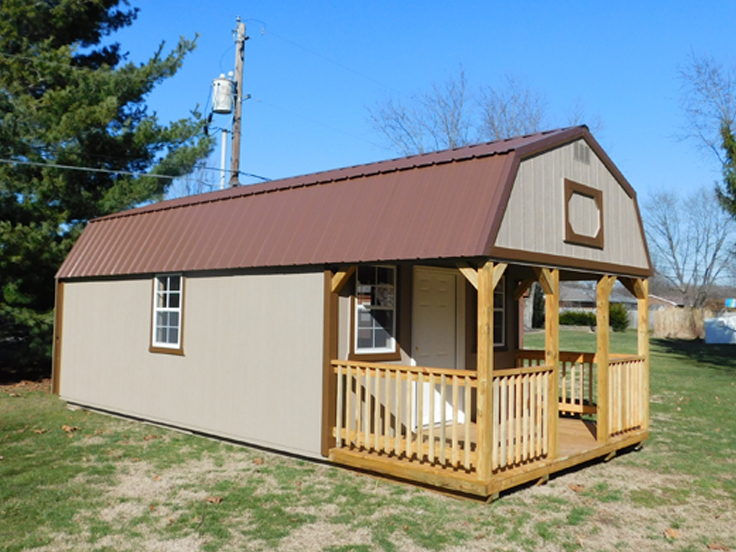 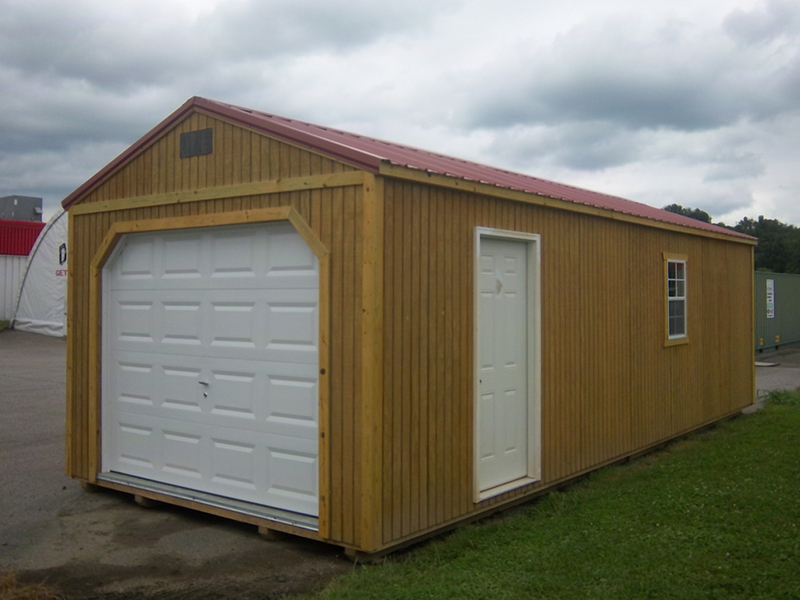 For an additional charge you can even upgrade to a wraparound style front porch similar to the Deluxe Lofted Cabin. 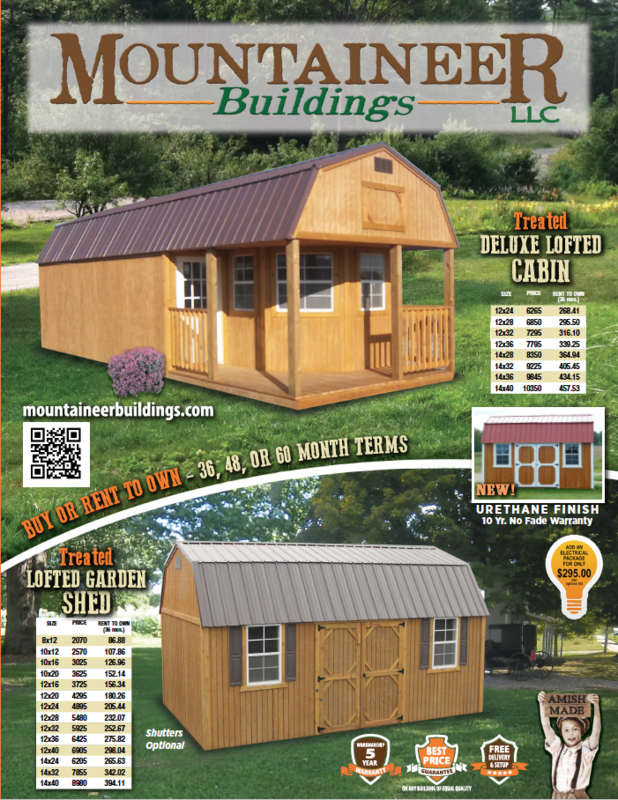 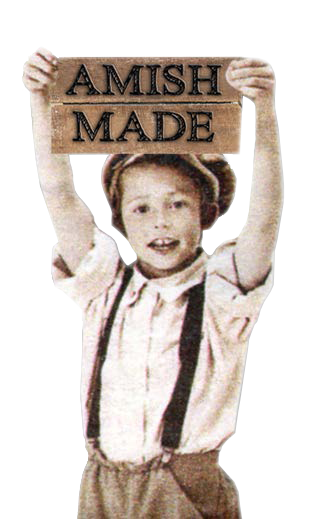 Mountaineer Buildings has dealers in West Virginia, Ohio, and Kentucky. 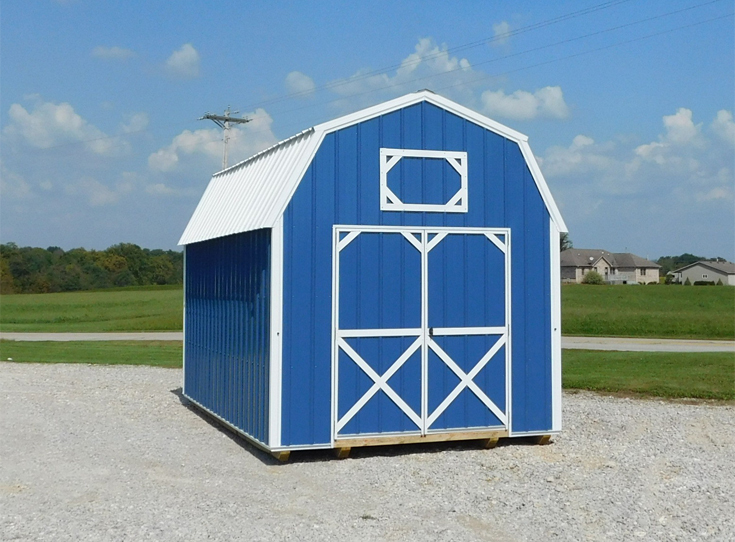 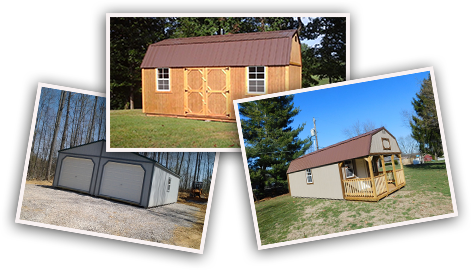 You can choose to pick a building off our sales lot or order your own custom built structure that speaks of your own style and color scheme. 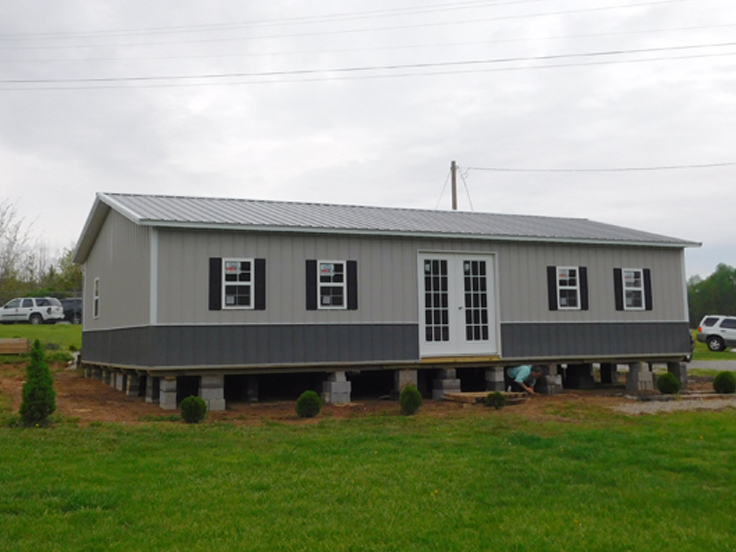 Just imagine, in a few weeks from today, your dream structure could come rolling in your driveway!